Stienen BE develops automated climate control systems for poultry and pig farms. Involved in intensive livestock husbandry since 1977, this family business has years of experience in the sector and it considers reliability, technical advancement and long-term investments as key values. Stienen BE’s complete assortiment of climate computers, ventilators, alarm systems and management software lets farmers create the best possible housing climate every day. Gasolec is a Dutch Ltd specialised in development and production of powerful lighting and heating systems for intensive poultry farming. Poultry production can be optimised via sophisticated use of red, blue, green and white light. Gasolec is the worldwide leader in this technology. For over 30 years, Hotraco has been a market leader in the field of development and production of innovative computerized systems for the poultry and pig sectors. Its many years of experience combined with the newest technology guarantee state-of-the-art products, from climate control and air conditioning, feed and water control, animal weighing, egg counting to fire safety. Coupled with the innovative nature of its employees, this makes Hotraco the ideal business partner for customers worldwide. Since its establishment in 1971, Impex Barneveld BV has grown from a pioneer to a world-wide, leading supplier of drinking systems and accessories for poultry and pig farming. To maintain and continue this leading position and to respond to the needs of the market - now and in the future - Impex continuously innovates its products and service, of which quality, easy operation and efficiency are important aspects. Impex closed water drinking systems are suitable for various types of poultry: broilers, layers, pullets, parent stock and free-range birds. HatchTech designs highly efficient incubators and turnkey-solutions for hatcheries. Since its founding in 1996 the company has grown from a pioneer to a leading player with an established reputation. Thanks to an innovative method which ensures a constant airstream in the incubators, HatchTech hatcheries promises bigger and uniform chicks. Fancom is a global leader in automation systems for poultry and pig farming. For these sectors Fancom develops total concepts for stable control combining climate control, feeding automation, biometrics and data management. These integrated systems provide daily information about the animals and the business process. This way modern technology contributes to intelligent management of livestock farms: Fancom calls this iFarming. For over 50 years, VDL Agrotech has been a major supplier of housing and climate systems for the intensive poultry sector. The company supplies both for the laying hen and broiler sectors and the breeding sector. Clients across the world rely on VDL Agrotech for its integrated solutions for prefab poultry houses, feeding and drinking water systems, manure treatment, heat and cooling systems. Microfan has over 30 years of experience in the field of stable automation. The company develops, produces and delivers control and measuring systems, serving the intensive cattle and poultry farm sectors worldwide, via qualified vendors and OEM-customers. These state-of-the-art systems, with advanced software for climate-, water and feed control, animal weighing and egg counting, help farmers get the best stable returns. Scan-Air is a acknowledged Dutch manufacturer of inlet valves for livestock farms. The company proposes high quality and tailor-made installations for each type of animal housing, with a healthier stable climate as a result. The ventilation systems by Scan-Air are durable in use, easy to clean and they can lower energy costs for poultry producers. Chore-Time is a global manufacturer of complete equipment package for the poultry industry. "We are Feeding the World with Proven Systems". HATO BV is one of the world’s leading manufacturers of agricultural lighting solutions. In its 40 years of activity, HATO BV has become an extremely successful company with a high rate of innovation. The company works closely with livestock shed equipment suppliers in order to provide the optimum lighting system for any project. This way, lighting by HATO contributes to higher performances in layer, broiler, breeder and rearing houses. Thermobile Industries BV is specialised in the production and international sales of mobile and stationary space heaters. Thermobile heaters are used for various applications in poultry and pig farming for crop drying, shed and barn heating, as well as in construction and industrial branches. The innovative space heaters stand out by their mobility, user friendliness, solid construction and the good availability of components. Clients also very much appreciate Thermobile for its professional worldwide service. Supplying complete buildings in and outside Europe. 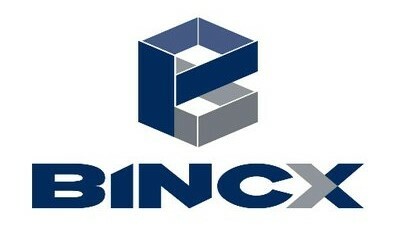 That is what BINCX already do and can offer you. We design, produce and install steel constructions as well as sandwich panels for the roof and side walls. Hereby we are specialized in the Agro Sector. Jansen Poultry is a quality name in the field of housing systems for poultry farms. The manufacturer, based in the heart of the Netherlands, produces laying nests, aviary systems and egg handling systems for laying hens and multi-level housing for broilers. Jansen Poultry manure also develops fast and effective manure drying systems, heat exchangers and air-scrubbers to reduce emissions. A combination of these products will help poultry farmers significantly increase their performance. TPI-Polytechniek is a supplier of polyurethane components for agricultural ventilation systems. The company produces a wide range of air inlet valves and ventilation chimneys in its own modern production facility in Poland. Polyurethane is a strong and durable material and it guarantees optimum insulation. Due to its wide variety of products TPI-Polytechniek can offer a suitable solution for every situation. Vostermans Ventilation develops, produces and globally distributes axial fans for the industrial and agricultural market. For over 60 years Vosterman Ventilation has been a specialist in air flow systems, with succesful brands like Multifan and EMI, that are known for their efficiency and low energy consumption. The electrotechnical engineering company ETB van de Beek is specialised in the design, realisation and maintenance of installations for poultry housing. The company offers total solutions for air, water, feed and light installations. Including components like emergency power supplies, heat exchangers and automation components like feed and climate computers. Thanks to an integrated approach, ETB can realise housing that perfectly fits your ideas about accommodation, climate control, rearing and production. Our core business is clearly specialized fogsystems; We design installations which create fog, which is necessary to control humidity and to create extra cooling. We are strongly represented in horticulture, industry and agriculture. Because of our knowledge and many years of experience, we are able to design customized installations. What makes us unique? We do have the expertise to the entire process; From concept, engineering, production to installing and commissioning. Ridder Drive Systems develops, produces and markets a complete range of electro-mechanical drive systems for the motion of air vents, screens, flaps, heating and feedlines, primarily in the agricultural sector. The over 60 year old company operates worldwide and is a leading player in the market. Ridder Drive Systems stands out thanks to product innovation, reliability and service. Ridder Drive Systems focuses on sustainable growth and cooperation and considers added value for its customers and users as a main purpose.